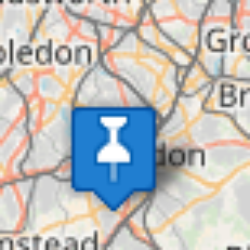 I’ve been looking through the Parks and Cemeteries committee minutes from council records in various parts of England from the start of the parks movement in the 1840s to the present day, and they are bringing up all sorts of oddities like this. 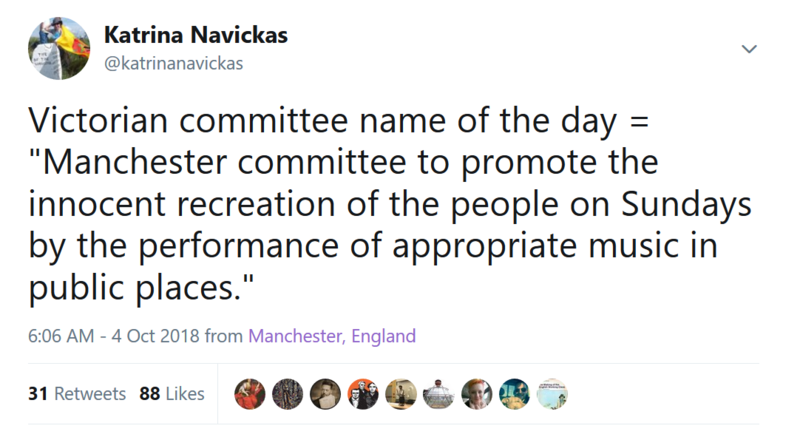 This Manchester committee had a strict definition of what was ‘appropriate’ music: Haydn, Beethoven, Mozart, Mendelssohn, ‘national anthems’ (presumably God Save the Queen and Rule Britannia), and specifically ‘avoiding all “dancing” music’. I need to do more research on who actually formed the committee (I have noted R Adeane Barlow as the Hon Sec), but it’s from 1856, the second volume of Manchester parks committee, created after the formation of the first public parks in 1846-7: Queen’s Park, Philips Park, and Peel Park (transferred over to Salford corporation). 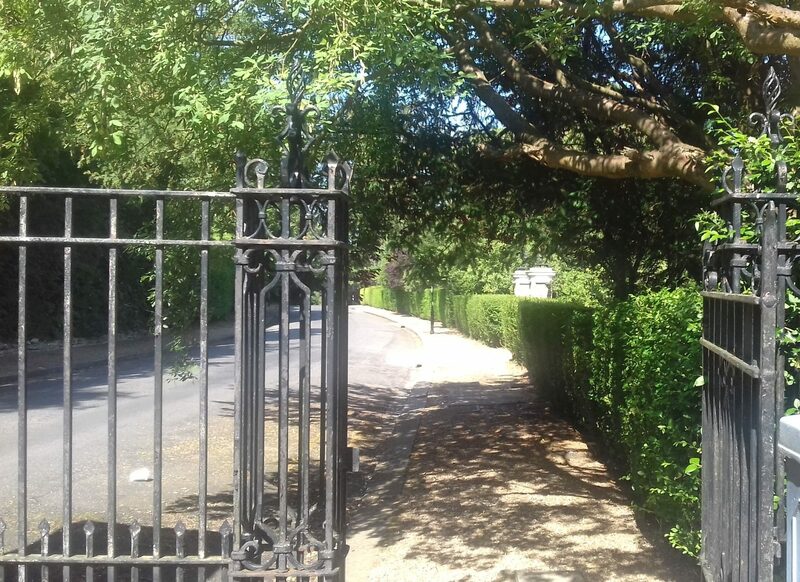 Societies and associations made requests to the council for permission to use the parks for meetings and events. For some groups the councils issued licences and took a cut of their profits, while for others like charities, they issued one-off permissions. This request from the committee of promoting music was typical of the wider ‘rational recreation’ promoted in the mid 19th century by anxious middle classes and paternalist gentry, worried about the vices of gambling and drinking and blood sports engaged in by the urban poor. Highly regulated parks were also seen as one solution to problems of the poor hygeine and lack of exercise and fresh air experienced in the slums. There’s a long historical debate about the extent to which the middle classes attempted to ‘civilise’ the working classes from the 18th century onwards by a clamp down on popular recreation, and to what extent it succeeded (Storch, Cunningham). This concern not to be providing “dancing” music demonstrates the interesting conflict with the cultural and religious norms of the time – there was still a strong Sabbatarian tradition, particularly in Manchester, that meant that much leisure activity and entertainment was prohibited on Sundays. So the parks committee minutes also have several motions debated for and against allowing bands to play and sports and games matches to be held, even informally, on Sundays. The next entry in the minutes is a deputation from the Sunday School Teachers of Manchester, stating their objections to the ‘introduction of bands of music into the public parks of this city on Sundays’. This led to debate in the parks committee, who after several motions and amendments, decided not to allow the bands on Sundays. There was much clerical pressure on local authorities to ensure that there would be no alternative distractions that would lure people away from divine service at church. 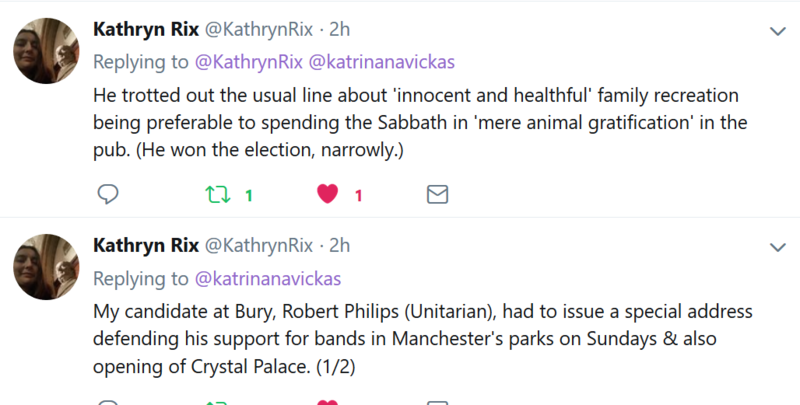 So even the argument that rational recreation would keep people out of the pubs was not enough for many parks bye-laws, particularly in Manchester, from prohibiting music and games on Sundays. Hazel Conway has written extensively about the history of the Victorian parks movement, so I won’t repeat all she’s done. 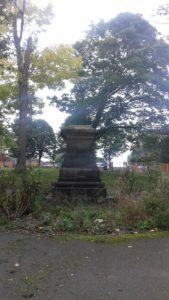 But she points out how early Manchester was in forming public parks, largely on the initiatives of paternalist city fathers like Mark Philips, MP, who had presented evidence to the select committee into public walks in 1833 and then promoted the formation of parks from 1844. He pointed to continental examples such as Dresden, where the population ‘enjoy themselves rationally’ and the promenades of Rouen, the ‘Manchester of France’. Typically therefore, one of the first parks was named Philips Park to the east of the city centre. 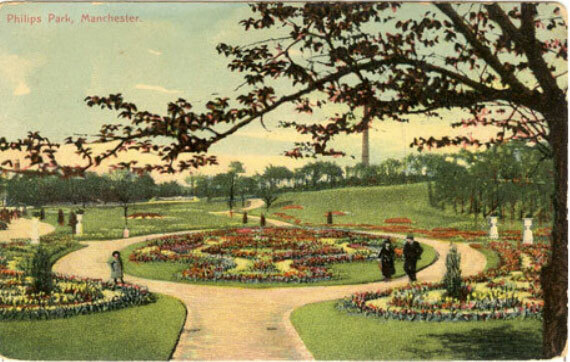 Unlike in other towns and cities, however, the three Manchester and Salford parks were promoted and funded by private subscription and charitable endeavour rather than direct council involvement in the acquisition of the land; it was only after their formal opening that the corporation took over their control and maintenance. I’ll be looking more at which councils allowed political meetings in their parks; having surveyed the volumes for the WWII period, Manchester seems very open to allowing left wing groups to hold meetings, in complete contrast to Croydon, who refused permission for them all, and this contrast is something I need to go into much more detail relating to the politics of local government.